Made in the USA! Stock Photo Shown – Correct Voltage & Amp unit will be shipped. Unit ships with Grey SB50 which interconnects with Grey & Black SB50’s. Red SB50 Available for Special Order! Dual Pro Eagle Series i4815 portable chargers combine the best of two technologies. Eagle Series uses the well known reliability of a transformer and the latest in microprocessor technology controlling the charger output. This combination allows quicker recharge times and eliminates the chance of over and under charge of batteries. The Dual Pro Eagle Series chargers 5 LEDs indicating battery charge level, when batteries a fully charged the Eagle Charger turns off completely. 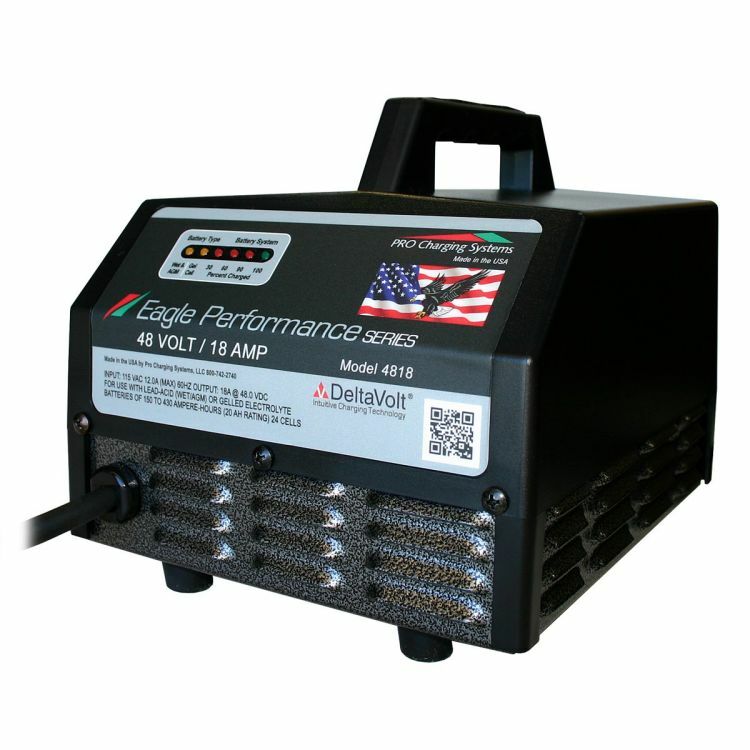 Should the batteries discharge to a programmed voltage level the Eagle Charger automatically reactivates the charge circuit and bring the batteries back to 100% charge. Eagle Chargers use a proprietary method of adjusting charge algorithm to compensate for temperature thus improving battery charge quality and safety. This charger will be ideal for less frequently used and smaller amp hour systems. Expected recharge time for a dead 100 amp hour system would be 12 hours or less. 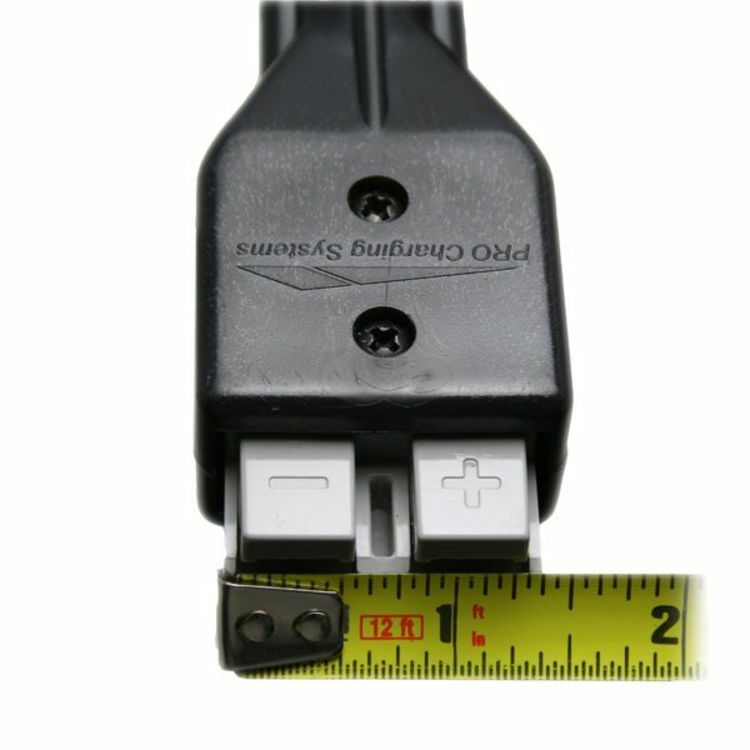 Charger ships with Anderson SB connector check the accessory cables we offer. Do you own the i4815? Please, tell us what you think about it. It helps us provide you with better products. Please note that it may take up to 72 hours for your review to appear.